We Happy Few: More than a Dystopian Survival Game? We Happy Few, set in the town of Wellington Wells, is a survival game released this summer. As a player you get to choose to play any of the three characters in the three acts of the game. Each of the characters is strapped with their particular and exclusive set of skills. As the game progresses you are provided with an ultimate goal and some side adventures that will allow you later to reap the rewards. A quirky facet of the game is the skill tree. Here you can add skills, combat mechanics, and steal abilities bought from the side adventures to improve your chosen characters skills. You can collect weapons, money, medications, items and food; all essential for your survival. 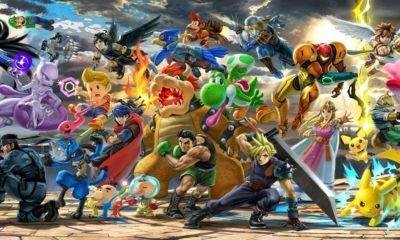 Players have to be on the lookout for toxicity levels, and other vitals of the character. But the core element that you will be after is the drug Joy. The residents of Wellington Wells are in a perpetual state of anguish and distress. The drug works wonders on the characters point of view. The absence of the drug causes fatigue and destroys the abilities. With Joy not present, the character is considered a downer and is hunted by the police also known as ‘Wellies’. 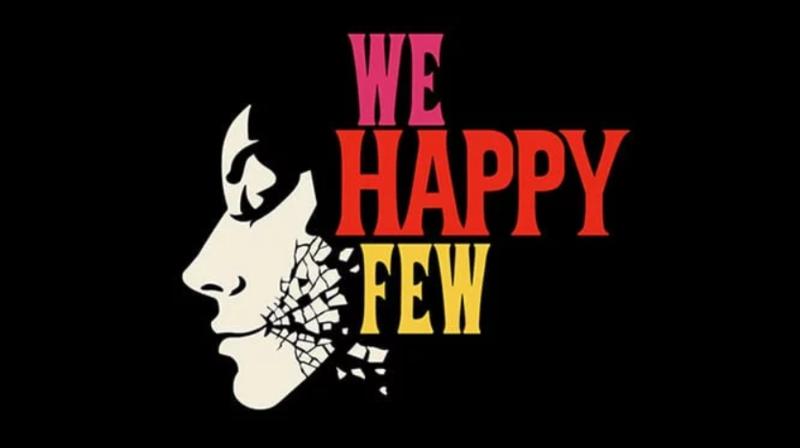 We Happy Few appears as the hunt and adventure for happiness in life. It is quite symbolic of today’s world, as quite the number of people are in search of the path of eternal and everlasting happiness. Often we encounter the truth that materials and money do not amount to the perfect dose of happiness. The characters have to avoid suspicion and must blend well into the society and Joy helps them do this. Joy much like joy in the real world causes you to bring down your walls and therefore makes you vulnerable. Joy appears as a wall, as a dam that stops the reality of Wellington Wells to hit the characters. Once you have popped Joy, hallucinations mask the atrocity of Wellington Wells, distorting reality and memory. Is ‘We Happy Few’ Much More than just Dark Humor? If your character acquires detrimental wounds, you have to start again at a recent checkpoint. We Happy Few also provides the option of Permadeath, allowing you to begin again with the game. The addition of a sand box to the game after its release is in the works. This will allow you to customize the games survival methods to your liking. To round off, We Happy Few appears as a satire of contemporary society. If you are aware of the horrific truth, you will be hunted. To survive your character must ironically induce the reality muddling Joy pills. The game is a race against society and its corrupted ideals. Where the narrative and story told is extremely haunting and reflects the world, the game however slightly lacks in terms of offering new arsenal or an entirely new concept. It is a funnily dark ride, a cocktail of varying genres but one that can offer much more.